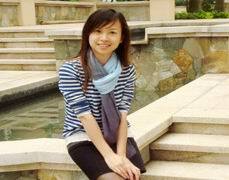 Nancy is our China Product Manager, she has been working as a Tour Director for years and loves every aspect about it. She also loves to share her many experiences when she can. Nancy is especially fond of our unique Family Journeys. Nancy has a good repution for doing an outstanding job of coordinating the entire trip into a lifetime unforgotten memory for her clients, she starts dealing with her clients and right from the very start, She is very prompt and quick in her responses to all your emails, have a very good attitude to everyone, making changes to the tailor-made iterinary and extremely helpful in every possible way. She has this attentive attitude by creating, changing and adjusting the iterinary to suit the needs and plans , from the beginning to the very end. She even give her cell phone number in case her clients need to call her anytime outside of her regular office hours. She is absolutely a delight to work with from day one till you come back home. As the elder sisiter in her family, Nancy was raised in a Zhuang ethnic village, 80 kms north of Nanning, the capital of Guangxi province. Her hometown is quite near the sino-vietnam border, and she has been working in the rice paddies, taking good care of little brothers and sisiters in her teenage school days. Different than city girls in our office, Nancy needs to support her younger brother to finish his unsiversity eduction, and offer financial help to her parents sometimes. Nancy is good!